Alan Greenspan is on a bubble-announcing campaign. He can see them now, but he couldn’t see them then. Alan Greenspan says there are “Bubbles in Stocks and Bonds”. 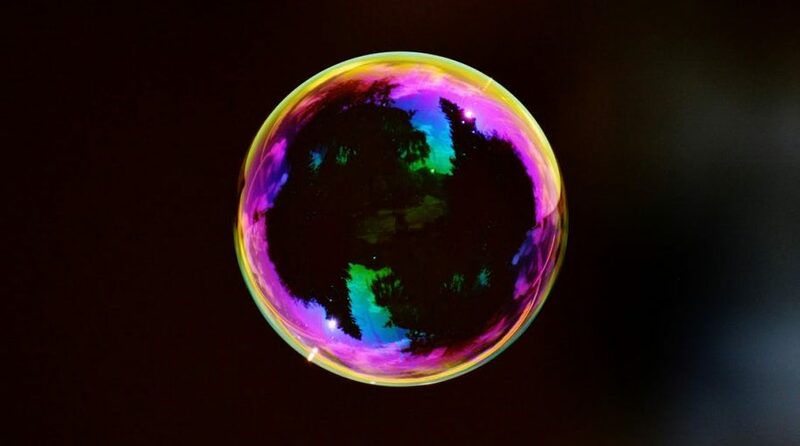 “There are two bubbles: We have a stock market bubble, and we have a bond market bubble,” the former Federal Reserve chairman told Bloomberg TV on Wednesday. 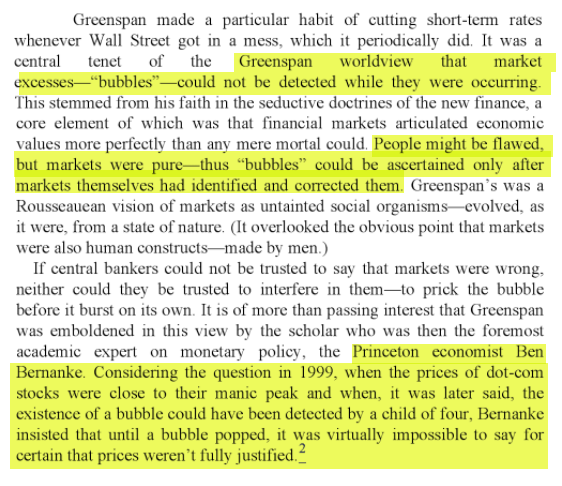 The above is a book image clip that came up when I did a search for “greenspan you can only detect bubbles after they burst”. There appears to be enough evidence, at least tentatively, to conclude that our strategy of addressing the bubble’s consequences rather than the bubble itself has been successful. … As I discuss later, much of the ability of the U.S. economy to absorb these sequences of shocks resulted from notably improved structural flexibility. But highly aggressive monetary ease was doubtless also a significant contributor to stability.